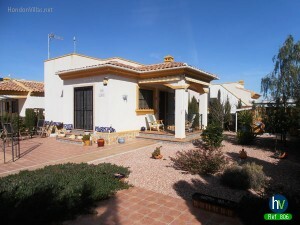 Buying or selling property in the Hondón Valley area? UPDATE (JUNE 2014): Online Search is mega important to people finding us the web. No other agent in this area ranks better on Google, Bing and Yahoo than Hondon Villas (the 3 main ones) . 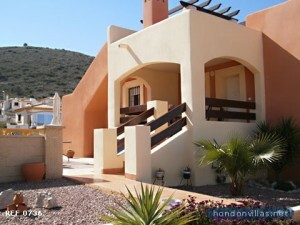 Example: search for “villas in hondon” and today we had 6 of the 10 places on Yahoo UK. Example: search for “Hondon valley” and today we had 8 of the top 10 places on Bing. So if you want to sell your Hondon Valley property then you just have to go with the best !! New 2017! We just opened a new real estate office in the Frailes Plaza (next to 28 Restaurant) and our Dutch sister site Hondon Villas NL has been launched with great success. Aimed at our Dutch and Belgium clients. Well if you are planning on visiting or living in the Hondon Valley area you will be aware that the two main villages, Hondon de las Nieves and Hondon de los Frailes are two of the most charming of typical rural villages in this area of Spain. Other towns close to the area worth a visit are Aspe, Elche, Macisvenda, Novelda and La Romana. Between these locations there is an abundance of amenities such as shops, restaurants, bars, medical, shopping malls and parks. 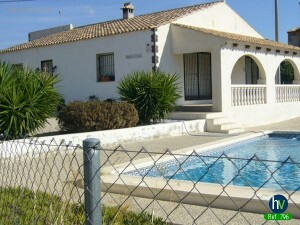 Hondon’s closest airport is of course Alicante but is also served by San Javea in Murcia, Southern Spain. Hondon Valley boasts a keen interest in animal rescue, particularly dogs. There is a charitable organisation called HOVAR that organise various fund raising events in the area to help pay for the rescue, upkeep and vet bills. Countless animals have been saved and re-homed in the 7 years or so they have been doing this. Well done to all the unpaid volunteers of HOVAR. Well you definitely need a car here to get around or go to the shops as there is little in the way of public transport. If you don’t have a car you can hire one at reasonable rates from Hondon-Huur, who have an established base on the Urb. Montañosa. If you intend to live around here you will inevitably have to deal with the local Hondón Town Halls (Ayuntamiento). It will help greatly if you can speak Spanish but they do have interpreters at certain times. They can assist with things such as SUMO (tax), planning, community services and residential matters. Both Hondon de las Nieves and Hondon de los Frailes can be found on the Google Map (image). If you have use of the Internet then using Google Maps (or Google Earth) is a great way to view the area from an ariel point of view. 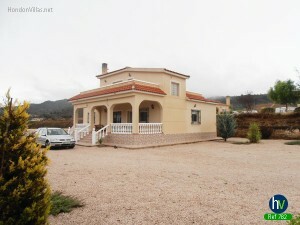 You can pick out the surrounding roads, mountains, country walking tracks and nearby towns, such as La Canalosa, Alguenya, La Romana, Albatera Villas… etc. Like most of southern Spain, the weather in the Hondon Valley area is one of its key advantages. With over 300 days of glorious sunshine each year it helps sustain it’s main industry of agriculture. Many crops of fruit and vegetables are grown here. Chiefly, almonds, eating grapes (some wine) and olives are dominant in the area. The site of 1000’s of spring-time almond trees in pink blossom across the valleys is a sight to behold! Of course the weather here also encourages the slow pace of life, many a outdoor fiesta or party and a general ‘al fresco’ lifestyle. Hondon boasts various hobby groups and community help, including the Hondon Valley Golf Society, fitness classes, walking and cycling groups, painting classes, Tai Chi, British Legion, book clubs and photography to name just a few. So it’s not hard to make new friends or taste a new hobby. The fine weather and outdoor lifestyle helps bring the local community together in terms of community events and special fiestas. And how the Spanish love their fiestas! The Hondon Valley and its surrounding area has a varied calendar of events including both religious ones such as Easter (Semana Santa) and Christmas (Navidad); Historical fiestas such as the Moors & Christians and fiestas for pure family fun such as the Medievel Market, Correfocs, Bull Runs, water fights and fireworks. They are great fun and always worth attending…. bring your camera for sure. These same characteristics have led to a recent boom in foreign property investment to Hondon. This influx of new residents has helped to boost the local economy and it’s prospects. 100’s of new villas and homes have been built and sold to northern Europeans (mainly the British, Dutch, Belgians, Scandinavians, Germans). 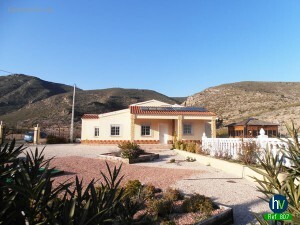 The largest area of property for sale is a relatively new Urbanisation Montañosa, situated between the two main Spanish Villages of Hondon de los Frailes and Hondon de las Nieves. This is now well established. There is now a healthy Hondon real estate market in the area for resale, new build and rental properties.